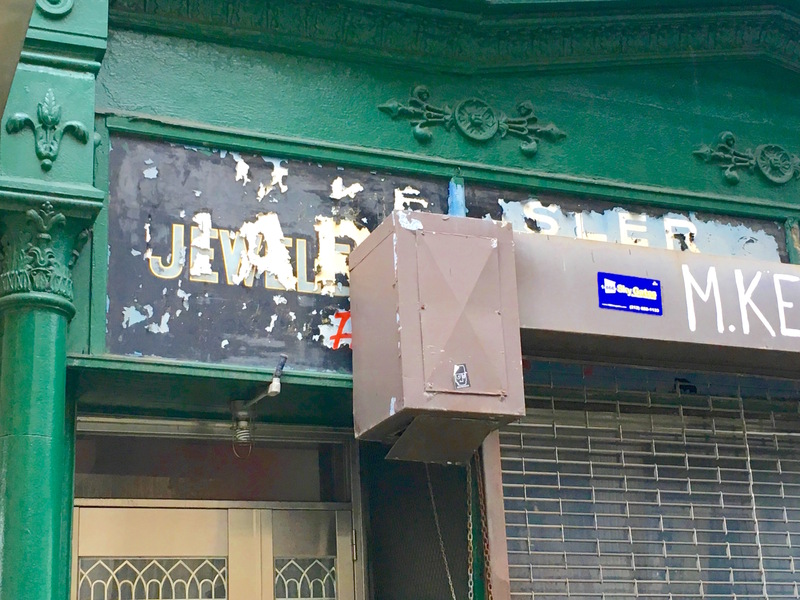 Peel back a store sign in the modern city, and it’s possible that a sign behind it, from a rougher, earlier New York, will reveal itself. 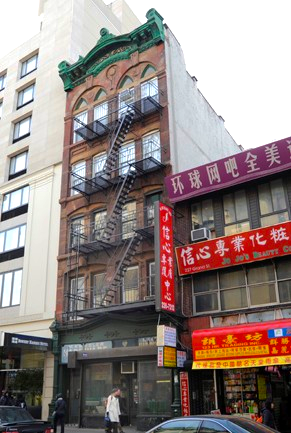 That’s what happened on Delancey and Essex Streets recently. 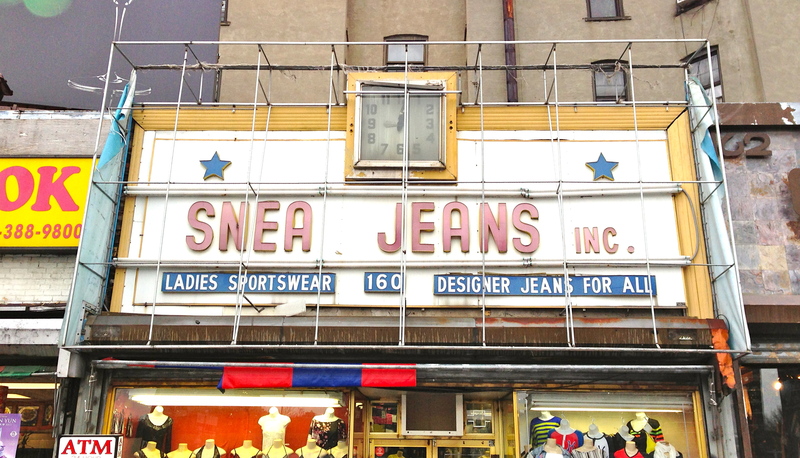 The glossy billboard advertising this sneaker and jeans store vanished (removed by the owners, or blown off by recent storms?) and a much older version reappeared—with a very sweet clock to boot! 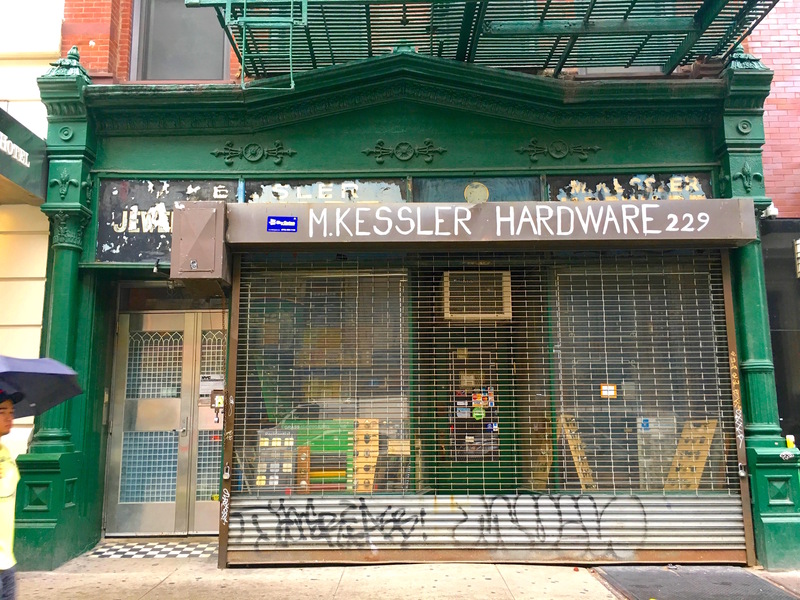 An even cooler glimpse of a different Manhattan can be seen behind the green awning for this deli on Grand and Lewis Streets. 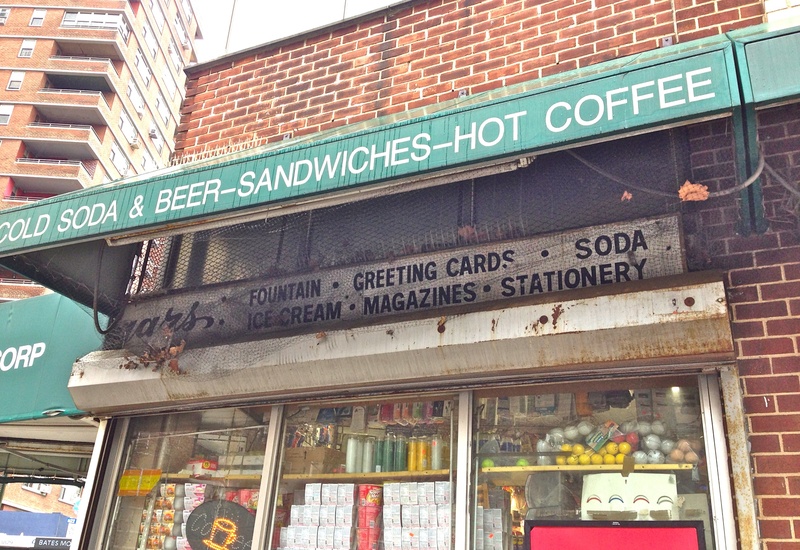 Take a peek underneath, and the old-school sign for a corner magazine and card store (with an ice cream fountain!) makes an appearance.